Professional cleaning machine for empty plastic bottle or glass bottles. Fixed structure, impeccable controlling system and easily for operating and maintain. Reliable cleaning theory and spraying method to rinse the inside and outside of the bottles. Themachine is equipped with anti-reverse rotation unidirectional clutch device. When it overload, the clutch will slip to stop the machine, so that the machine can work normally. The machine can fill the PET bottle which can not be filled by low vacuum filling machine. The capping machine has the stable transmission system, great sealing performance, easy operation, convenient maintance character. All Parts we can custom made for requirement for each customer, like Grundfos Pumps, Sew Motor, Festo Electric Appliance, etc. When you send inquiry, please also included the capacity and bottle volume you need to work on the machine, it is easy and accurate for us to recommend proper machine model. 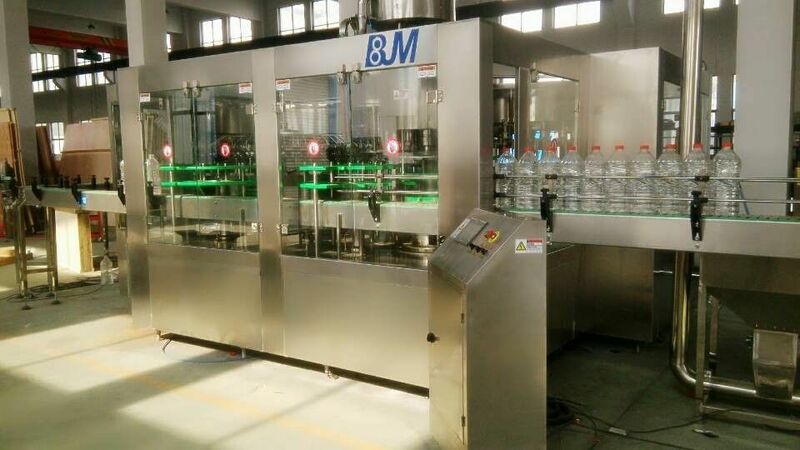 Benjamin Machinery pays great attention to technology, such as beer processing and filling technology, high-viscosity filling technology, glass bottle water filling technology. And we will try our best to satisfy your requirement, your message will be highly appreciated. Welcome to Benjamin Machinery.